I say this a lot, but there's something unendingly incredible about seeing an idea in your head become something tangible. 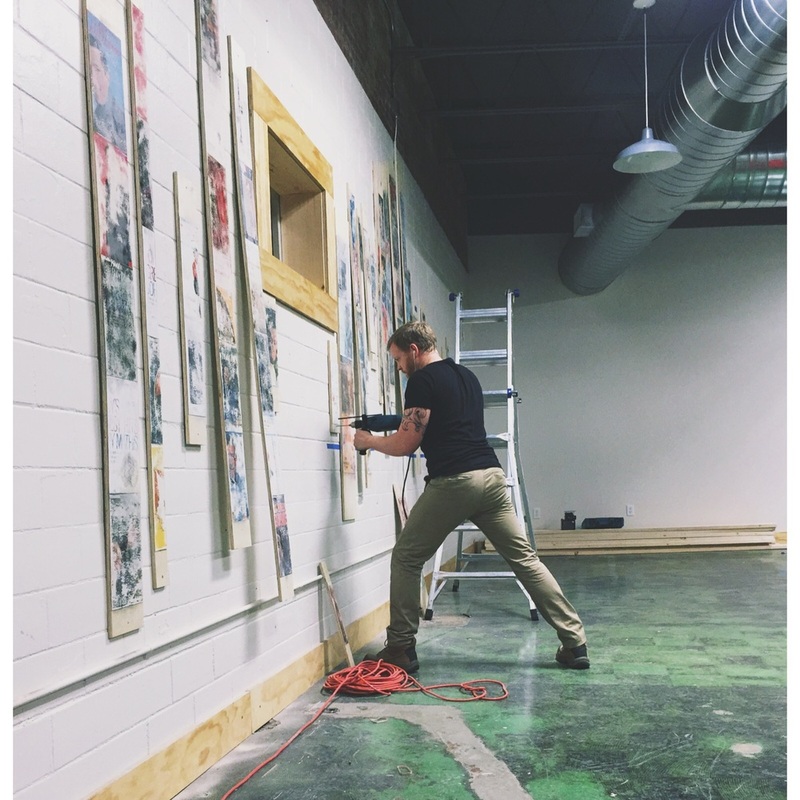 I wanted to show a little bit of the process behind one of our installations we just finished, our Album Art Strips. They were commissioned by Razor and Tie, a NY based record label, for their new recording/writing/coworking space here in Nashville. We started with drawings. We knew we were going to use album art, but how do you reimagine them into something new and innovative? I also didn't want it to be blatant. Half the fun of these installations is about making them constant discovery moments. You can look at it every day and see something new. Here's the sketch that the client and I settled on. We liked that it had great movement and filled the wall without covering it entirely. Then we prepped. Three sheets of plywood cut down into random width strips, cut again into random lengths, then sanded. I used a weather resistent Loctite industrial gradecspray adhesive so that humidity and durability wouldn't be an issue long term. I left overhang so that the sides could be trimmed to fit perfectly. Then we sandblasted the surface to 'age' it. I took the images down enough that you can still recognize some of the albums, but they weren't this crazy hodgepodge of color, image and text. I left the tops and bottom of each panel uncovered so that it could be screwed to the cinderblock wall. It's still really hard work, but a hammer drill and good masonry bits make it so much better. Once the panels were all attached, we went back and covered the exposed ends. Cut them to size, a little steel wool and sanding and it was done.